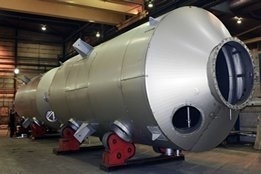 Magnesium product producers TIMAB Magnesium and Nedmag B.V. are teaming up to develop a commercial alkali power for the marine scrubber market. The magnesium hydroxide product, MH53S, is billed as a non-hazardous alternative to traditional alkali source for scrubber operations. “After several years of successful use of MH53S MARE on board several vessels, Nedmag and TIMAB Magnesium are proud to bring this solution to the industry on a global scale,” the pair said. Under the agreement, Netherlands-based Nedmag is supporting the technical development of the product and France’s TIMAB Magnesium is handling the distribution. Solution offers both cost and environmental benefits, says Wärtsilä.